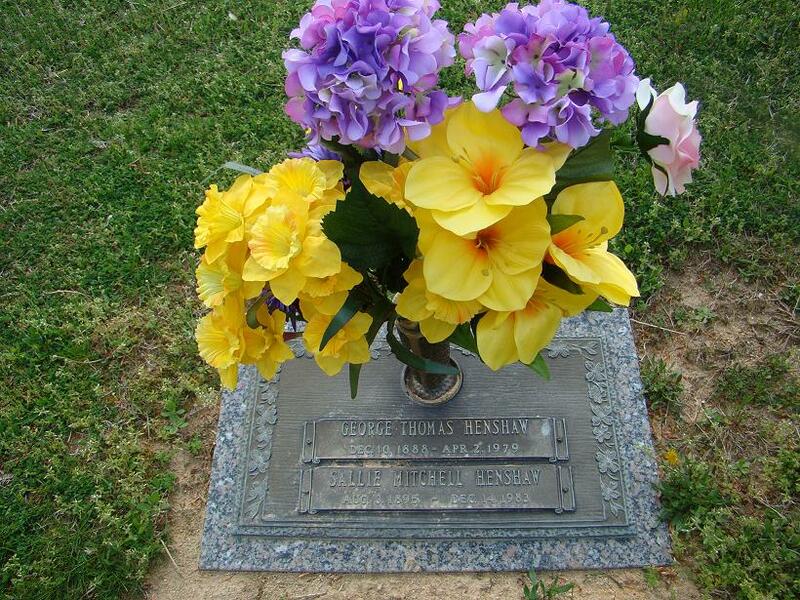 George Thomas Henshaw1,2 [Thomas G. Henshaw4]. Henshaw, George A., head-of-household, age 58, born in Virginia; parents born in Virginia; widower; rented home; occupation: farmer, general farm. Henshaw, George T., son, age 32, born in Virginia; parents born in Virginia; occupation: farmer, general farm. Henshaw, Sallie R., daughter-in-law, age 24, born in Virginia; parents born in Virginia. Henshaw, George T, head-of-household, age 40, born in Virginia; parents born in Virginia; first married at age 27; owned home; no radio in home; occupation: farmer, general farm; not a war veteran. Henshaw, Sallie M, wife, age 34, born in Virginia; parents born in Virginia; first married at age 21. Henshaw, George T. Jr, son, age 7, born in Virginia; parents born in Virginia; attended school. Henshaw, Dorothy F, daughter, age 1 year ? months [unclear], born in Virginia; parents born in Virginia. 1930 census, Midlothian Township, Chesterfield County, Virginia; roll T626-2440, ED 18, page 5A, line #9, dwelling #77 family #77. 1910 census, Dale District, Chesterfield County, Virginia; roll T624-1625, ED 4, page 57A, line #23, dwelling #69, family #71. 1920 census, Midlothian District, Chesterfield County, Virginia; roll T625-1885, ED 17, page 7B, line #54, dwelling #145 family #146. 1930 census, Midlothian Township, Chesterfield County, Virginia; roll T626-2440, ED 18, page 5A, line #13, dwelling #78 family #78.